Fort McMurray, located in a beautiful service area with vast oil sands deposit in northeast of Alberta, is surrounded by peatlands and boreal forests of aspen and spruce. 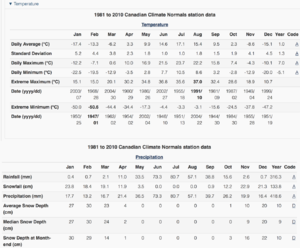 Though normally very wet, Fort McMurray is relative dry and hot in summer, and its weather is becoming more extreme because of climate change. With a low moisture content and a high volume of resin for defence against disease, stems of trees in boreal forests are highly flammable. Beginning southwest of Fort McMurray, Alberta on May 1st, 2016, the wildfire swept through forests and communities and destroyed around 2,400 buildings in only two days, resulting in over 8,000 residents to leave their homes. Ultimately, it was under control by July 5th, 2016. The fire, reported spreading cross 590,000 hectares, is the costliest disaster in Canadian history. The intense forest fire has a profound impact on local environment and ecology. About 500 species of wildlife lost their habitats or were in danger due to the fire. Many wastes such as ash and rotting food were produced in the burning process. The fire also released a large amount of CO2 and other toxic contaminants including heavy metals and PAHs deposited on trees and soils. What was happened in Fort McMurray, Alberta, Canada in early May? On May 1st, 2016 at 9:57pm (MDT), a wildfire began to sweep the Centennial Trailer Park and the neighborhoods of Prairie Creek and Gregoire at the southwest of Fort McMurray, Alberta, Canada. On May 3rd, 2016, this event was described as the largest wildfire event in Alberta’s history. Canadian military, Royal Canadian Mounted Police, Canadian provincial agencies, 300 South African firefighters and many charitable organizations, such as the Canadian Red Cross, all participated into the rescue work in this fire event. Numerous rescue teams came to help the residents in McMurray to evacuate from the extremely unsafe communities. The Canadian Red Cross provided McMurray residents with many medical treatment and donations. Fort McMurray is a beautiful urban area which covers 59.89 km² in the northeast of Alberta, Canada. This city is surrounded by boreal forest and 2 main rivers: Athabasca river and Clear Water river. There are also several peat bogs within the forest. The whole Boreal forest is located in a flat plain with few hills. And the Rocky Mountains are on the west side of this plaint. The forest fire was started at the southwest of the urban service, and expanded around especially the southeast side. Firemen were putting out the fire. Natural Resources Canada, Government of Canada. Wildfires in Canada’s forests are very common. Ecological professionals and fire management departments often see fire as a beneficial thing for maintaining the ecological values of forests. According to the statistics in 2016, fires in Canada’s boreal forest burn an average of 2 million hectares of forest every year. The large McMurray wildfire spreading, however, had enormous negative impacts on local environment, ecology, economic activities and society. How can the McMurray burning be special on the Canada’s wildfire history? The explosive burning brought a lot of air pollution to Fort McMurray. The large amount of CO2 released by the burning increased the “greenhouse” effect in Fort McMurray area. The burning of cars, factories and buildings brought hundreds of mercury, many other heavy metals and polycyclic aromatic hydrocarbons (PAHs), which fell on the tree branches and soil. Because contaminants made the air toxic, humans and animals had to breath thousands of small toxic particles into their lungs. As a result, air pollution leads to a huge negative impact on human and animals’ health. In addition to the air pollution, the burning in Fort McMurray also contaminated water. Mercury, polycyclic aromatic hydrocarbons (PAHs) ,and other heavy metals would not only fell onto the forest floors, but also into rivers and streambanks. Athabasca River was the one that received most severe contaminations. Athabasca River became a spot fire during this event. Rainwater in McMurray settled down toxins into the rivers and streambanks. Water previously used by people and animals nearby became toxic during the explosive burning period. Forests in Fort McMurray area are mainly mixed boreal forests. The recent dry climate is the main cause of the severity of this explosive wildfire. Tree roots and soils were scorched. The tree species composition and forest type would be changed by this event. Due to the burning in forests areas, about 500 species lost their habitats and now living in danger due to the fire contamination. Many wastes such as ash and rotting food were produced in the burning process. Waste in the natural areas like forests would not greatly influence people’s daily life in Fort McMurray area. However, it became a serious issue when it continually accumulated in the crowded communities where McMurray people living. Two major contributions of the wastes are toxic ashes and rotting food. Debris and fire-damaged concretes from vehicles, furniture, and public infrastructure including sidewalks and benches in parks were stacked on streets and destroyed constructions after the fire. Communities that people used to happily live in became ruins after the explosive burning. A lot of works needed carrying out to clean the wastes in Fort McMurray area. 1 The Fort McMurray wildfire drops the overall GDP of Alberta to a negative value in the year of 2016. Its economic impact on the national overall GDP is not noticeable. 2 Shutting down of the oil sand production actually slowed or even stopped the major economic activity of the oil production industry in Alberta. According to the statistics in the Report of Economic Impacts of the Fort McMurray Wildfires, 1.2 million barrels’ oil were lost per day on average for 14 days. This huge amount of oil lost was translated to direct money lost, equaling roughly $985 million real GDP and 0.33 per cent out of Alberta’s GDP in 2016. Layering Perspectives: Other Costs and Impacts? What other costs and/or impacts become apparent when wildfire is viewed through the lens of other disciplines and professions? What special expertise, resources, or theoretical orientations might others bring to help us better conceptualize the costs and/or impacts associated with wildfire? However, there is always another loss that cannot be calculated by these statistics. That is the influence on people’s lives and livelihoods. Over 8,000 residents moved away from their homes and lost their personal property during Fort McMurray wildfires. One thing that is worth being happy during this disaster is that the depressions mood among stricken people in Fort McMurray did not bring a lot of negative impacts on economic and social activities. A rebuilding fund was added to the real GDP in Alberta’s economy in 2017, and it contributed to roughly 0.4% of the overall GDP increase of Alberta. Rebuilding of the lost assets promoted more economic and social activities than before. People in McMurray returned to their homes after the disaster in the early spring of 2017. Funds for rebuilding compensate the lost capitals, and provide many employment positions for the returned residents. However, there is no doubt that the Fort McMurray Wildfires is one of the costliest natural disasters in the history of Alberta. In short, what makes this wildfire special and costly is its intensity, severity and location, which is in the central part of the oil sand industry in Alberta. Temperature and Precipitation Graph for 1981 to 2010. The reproduction is a copy of the version available at Canadian Climate Normals for Fort McMurray A, Government of Canada. Fort McMurray is famous for its Athabasca oil sand which is the largest oil sands deposit in the world (143×10 9 m 3 in total). These large amount of oil sands is another fuels in this huge fire. What is more, the file expanded faster than we expected because of these oil sand. Even there is nothing to burn above the ground, the fire can still expand below the ground by soil sands. Even precipitation or crown cutting can hardly stop these underground fire. Energy development is the pillar industry in Alberta which is the largest contribute to the GDP and investments in the states.Moreover, people in Alberta believe that they have the potential to be the the leading energy provider in the world.According to the job survey investigated by the Government of Alberta, 51% of the labor force in Fort McMurray were hired by oil and gas industry directly and most of other people are doing the relative works of energy industry in 2005. It’s not hard to imagine how huge effects this fire caused to Fort McMurray. People not only lost their home, but also lost their jobs. The local economy could hardly be built up in a short time because of their high reliability to the energy industry. Since Athabasca is the largest oil sand deposit in the world, the oil price was influenced by this wild fire last year. When the wildfire happened on May 1st 2016, the government implemented the emergency operations rapidly . On May 3nd, a large evacuation was addressed by the government, leading to disorder to some degree unavoidably . However, considering of the safety of all residents in Fort McMurray area, it is still a rational and timely act . The Provincial Operations Centre (POC) was fully activated at the highest emergency level . Meanwhile, steady communication between the government and impacted sites was established . News coverages and social media were used frequently to message residents the latest information and placement measures . After the process of evacuation being accomplished, lots of shelters and goods were offered to evacuees to meet their basic requirements instantly by the government, volunteers and charitable organisms . Meantime, professional firefighters and other first responders from a variety of countries and regions were staying behind to fight for controlling wildfire . At the same time, a number of evacuees contacted with Alberta Health Services (AHS) to request for mental health support . Eventually, the fire was under control thanks for the joint effort made by the Government of Alberta, Regional Municipality of Wood Buffalo, Canadian Red Cross, Indigenous communities, and the Government of Canada on July 4th . Generally speaking, the emergency operations conducted by the government of Alberta was timely and effective. The evacuation order ensured the basic safety of individuals while the mental health support helped to make the public calm down. However, the high demand on mental health support revealed the lack of professional staff in this specific field. Therefore, more support for mental health care were needed from society. After controlling the wildfire, the government started to concern about the reentry and recovery in the Fort McMurray region . During the time, air and water quality was evaluated firstly by the monitoring program of the Government of Alberta, along with the regional Municipality of Wood Buffalo and the Wood Buffalo Environmental Association . Meanwhile, the provincial and municipal officers worked together to ensure the availability of essential services such as electricity in the area, then the re-entry program was implemented and re-cleaning was started to be conducted by residents . As the wildfire was diminished and many people returned to their homes, the recovery programs became an important step of next phase . By Learning from the recovery works of past disasters, 5 categories in total are grouped up: people, economy, reconstruction, Environmental and mitigation . People having experienced a tragedy often show symptoms of stress and anxiety . Thus, there is a need of short-term mental health support, such as consultant, and instant and long treatments . In order to figure out and address the mental problem, the government has approved a budget of 18.65 million dollars for the first year to conduct mental health programs . Moreover, in order to provide temporary shelters for homeless especially those who do not have ability to afford the rent, the Government of Alberta established some financial association to provide economical support . Suffering from the disaster, lots of small businesses faced challenges . Not only lost their employees, they also had their properties and goods damaged. Nevertheless, many small businesses also played an important role in recovery work in communities . A support of 1000 dollars was granted to each eligible small business by Canadian Red Cross . The Regional Municipality of Wood Buffalo has been working on encouraging as much recovery work as possible to local contractors and local workers, and looking at promoting “buy local” or “open for business” campaigns . Besides, employees cannot be ignored as well. The connection between employees and employers should be paid attention to. Moreover, as a fundamental and key role in economic development and recovery, the stability and availability of public transportation need to be ensured. In terms of the policies about environment, the theme is to monitor the long-term environmental impacts and to mitigate potential risks . To meet the requirement, the main work will include but is not limited to monitor air, soil and water quality . In order to record the long-term environmental impacts of wildfire, the regional monitoring will be modified . In fact, the environment contains not only air and water. What the government do is just to ensure the safety of basic living condition. However, what should be taken into account are not only the climatic factors, but also the non-climatic factors such as the disease spread rate. In addition, other pollutants also need monitoring in order to avoid any potential negative impacts on residents. Even as the communities in the Fort McMurray area have started the clean-up and recovering from the disaster, lots of works are still required to reduce and mitigate the risk of future natural emergencies . In order to reduce the frequency of disasters like wildfire, the government has been increasing the invest in mitigation of natural disasters and other public safety risks . To achieve this goal, the Government of Alberta is committed to reduce and avoid the potential of other wildfire events that may threaten communities in the Regional Municipality of Wood Buffalo in the future . Three programs designed for this project are named Disaster preparedness, FireSmart, and Flood mitigation respectively . Probably these programs have not shown an obvious effect as people surviving from Fort McMurray Fire are highly alert to wildfire. However, it is quite wise and farsighted to launch such programs for long-term prevention. Viewed through the lens of other disciplines and professions, what other actors become relevant when considering recovery recommendations and preventative strategies to address costs and impact associated with wildfires? What special expertise, resources, or theoretical orientations might others bring to help us better mitigate challenges associated with wildfires? The 2016 Fort McMurray Fire is the largest, severest, and costliest natural disaster in Alberta’s, even the Canadian, history. 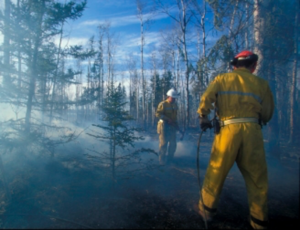 The occurrence of the wildfire is mainly due to the supportive natural factors, including the dry and hot summer environment in Alberta and the availability of plenty of fuels such as forests wood and oil sands. The life of thousands of residents in the area and the local environment were greatly destroyed by the fire. The economic activities and social development of Fort McMurray were impacted and even paused in a long period as well. Both the local and national government showed a timely response to the emergency right after it occurrence, taking a series of actions to ensure the security of local people and to control the fire. Nonetheless, a more completed emergency reacting system should be carried out by the government in order to prevent secondary injuries after the catastrophe. Also, a cooperative approach which involves both the government and the public is required to ensure the steady long-term efforts for the recovery programs of Fort McMurray in the future. The rationale of this solution is the intensity and severity of the negative impacts of the disaster. 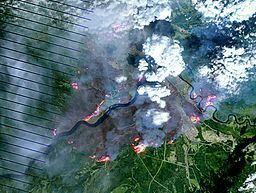 As discussed above, the 2016 Fort McMurray Fire is one of the severest and costliest natural disaster in Canadian history. Although the wildfire only last for a few months, its huge damage and negative impacts cannot be eliminated in even several years. Thus, countless efforts need putting into the urban and environmental recovery, which is definitely cannot be accomplished only by the government. A holistic approach to involve the public into the post-disaster reconstruction will be the most effective and practical way in regard to the recovery program， which includes environmental recovery, community rebuilding, economy restarting, and mental health support for the disaster victims. To be specific, the government should implement a set of policies to encourage more individuals and charitable organizations to take part in the reconstruction of Fort McMurray area. The recovery programs will be conducted efficiently only when the public actively participate in and contribute their effort to the reconstruction. And it is the only possible way for the government to fill the deficit between the need of resources for the post-disaster recovery and what the government can provide.